A Massachusetts reporter who tweeted that the Annapolis, Maryland Capitol Gazette killer was wearing a Donald Trump campaign MAGA hat has announced that he has lost his job. 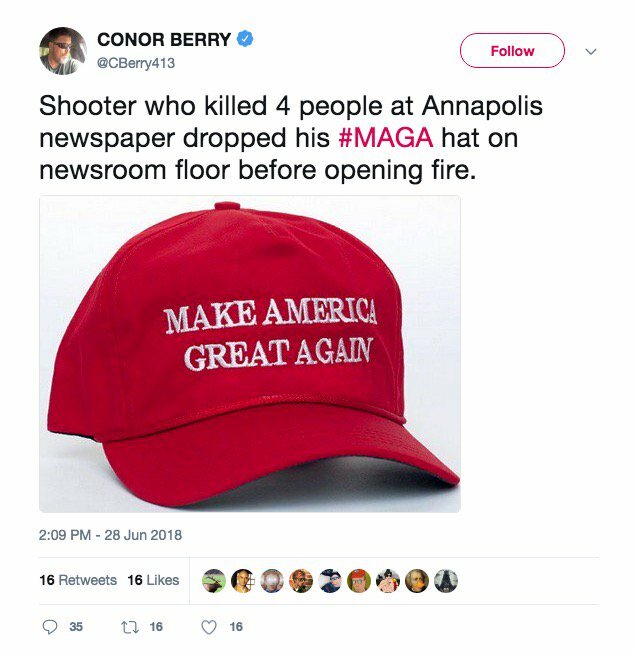 On Thursday, Conor Berry, who was at the time a reporter for The Republican in Springfield, Mass., tweeted out the claim that the man who is accused of killing five newspaper employees in Annapolis, Maryland, was wearing a red “Make America Great Again” hat as he committed his shocking crime. Berry deleted the tweet after an editor from his paper saw it and demanded that the tweet be deep-sixed. However, the posting was seen before the deletion and screenshots soon began appearing on social media. By Friday, Berry went back to Twitter to announce that his newspaper career had come “to a screeching halt,” The Hill reported. 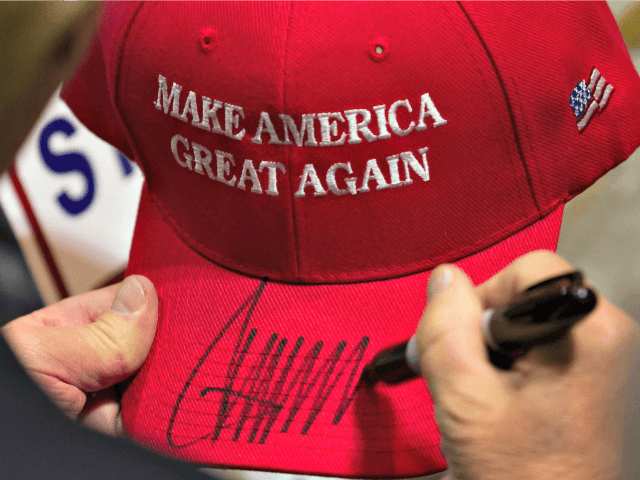 The paper posted the former employee’s resignation letter on Friday, in which Berry said he was “ashamed” of the MAGA hat tweet. 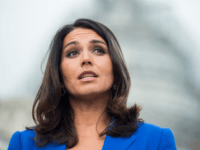 “I am ashamed of my tweet, which taints the good work of fair-minded journalists everywhere,” Berry wrote.